The Bella Vista Arts Council is pleased to honor Steve Horan as the April 2019 Artist of the Month. Horan will be honored at a public reception at 5:30 p.m. Saturday, April 27 at the Wishing Springs Gallery, 8862 W. McNelly Rd, Bella Vista. Art has always been a part of Horan’s life. His father was a commercial artist who sketched with pastels and as a child, Horan played with these pastels. When Horan rebelled as a teen against his father’s chosen career, he enrolled in the University of Chicago for an undergraduate degree in political science. However, as a graduate student, he flunked out of the business school and then switched to Art History. Before he could finish his Master’s degree, he was drafted into the U.S. Army during the Vietnam War. Horan was assigned to the U.S. Army Exhibit Unit near the Pentagon, where he learned how to silk screen print graphics onto exhibit panels. Later, he would use this skill to self-publish several editions of silk screen prints. When he was discharged from the Army, he worked as a graphic designer and then was able to become a full-time professional artist after marrying his wife, who was a teacher. Recently, Horan has been producing paintings using acrylics or pastels. As a result of living almost his entire life in Chicago, the major portion of his recent work consists of nighttime representations of lights or images of the city. He is interested in capturing basic geometric relationships and if possible, some of the spiritual impact of urban cityscapes. During the last thirty years, Horan has been juried into many national exhibitions and one-man shows and had gallery representation in New York, Chicago and many other cities. In addition, agents and publishers of his limited-edition serigraphs have sold hundreds of his prints to galleries and collectors. He has completed works of art for galleries, corporations and private collectors as far away as Canberra, Australia, where architects William Pei & Associates selected a suite of his limited edition prints for installation in a hotel they designed. 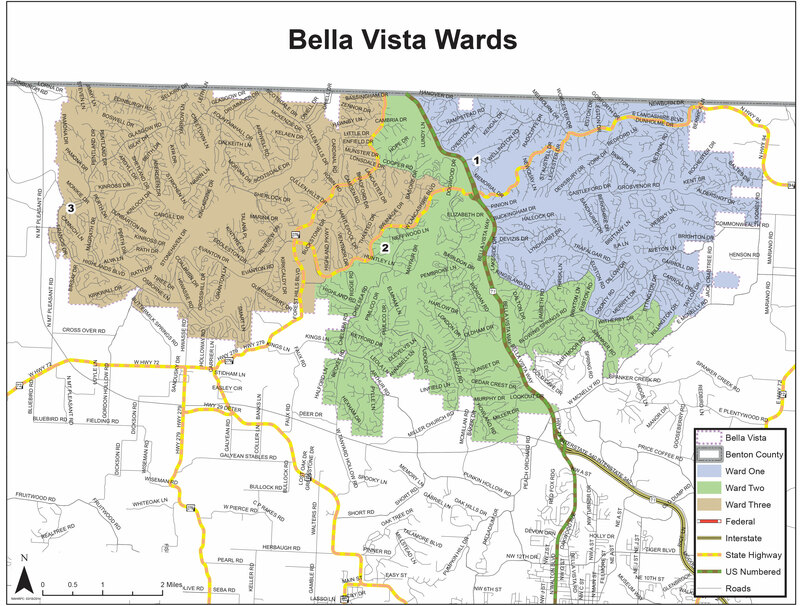 The Bella Vista Arts Council, an advisory board to the City Council, was created by the City Council in February 2016 to help promote the arts in Bella Vista. The board established an Artist of the Month program, in which selected artists and their work will be showcased to the public. Three volunteers serve on our selection committee — Sara Parnell of the Artist Retreat Center, Pearl Williamson, president of Wishing Springs Gallery, and Demara Titzer, curator of several galleries in Bentonville. The committee will choose each month from qualified artists, who must be residents of Bella Vista and have their work displayed somewhere in the city. Showcased artists will have their work displayed at the Artist Retreat Center, and during the month they are recognized the work will be on display in a location around the city, such as the Bella Vista Library or Historical Museum. To submit your name or other nominations for consideration, contact Parnell at the Artist Retreat Center, 479-268-6463, or email artscouncil@bellavistaar.gov.